As an aid during periods of intestinal dysfunction such as diarrhoea or malabsorption. 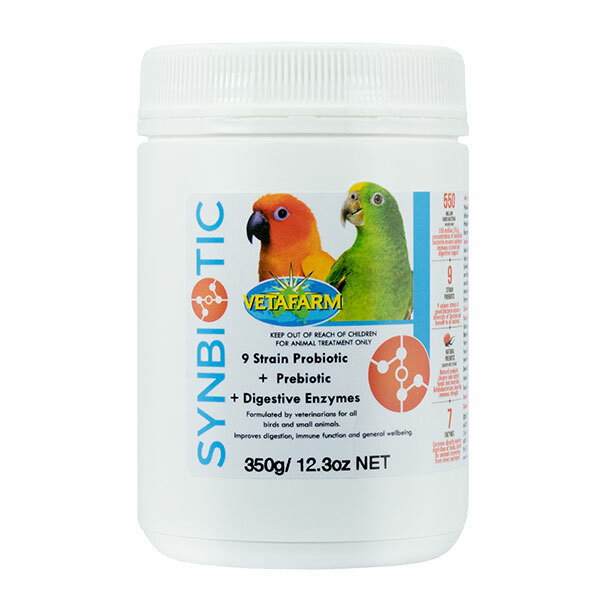 An ideal daily supplement to support the digestive and immune systems. Use in all animals in times of stress, illness, injury, and/or post antibiotic treatment to support the immune and digestive systems. 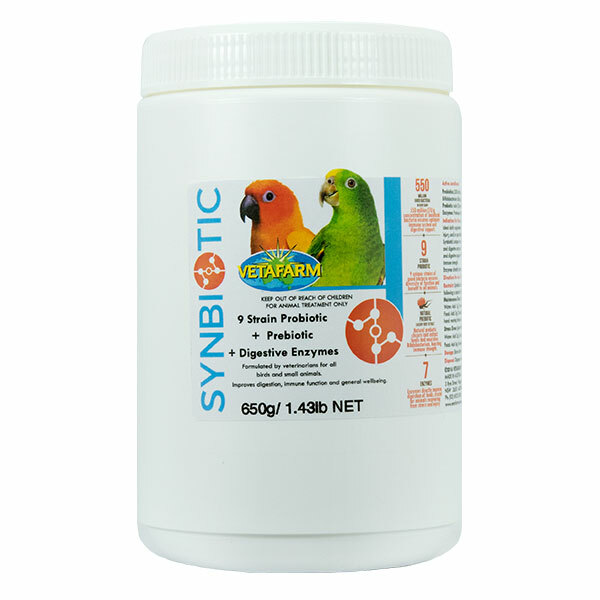 Synbiotic’s unique formulation contains 9 strains of beneficial bacteria, with natural prebiotic (chicory root extract) and digestive enzymes. 550 million CFU/g concentration of beneficial bacteria ensures optimum immune system and digestive support. Natural prebiotic chicory root extract feeds and nourishes Bifidobacterium, boosting immune strength. Enzymes directly improve digestion of foods, crucial for animals recovering from stress and injury. 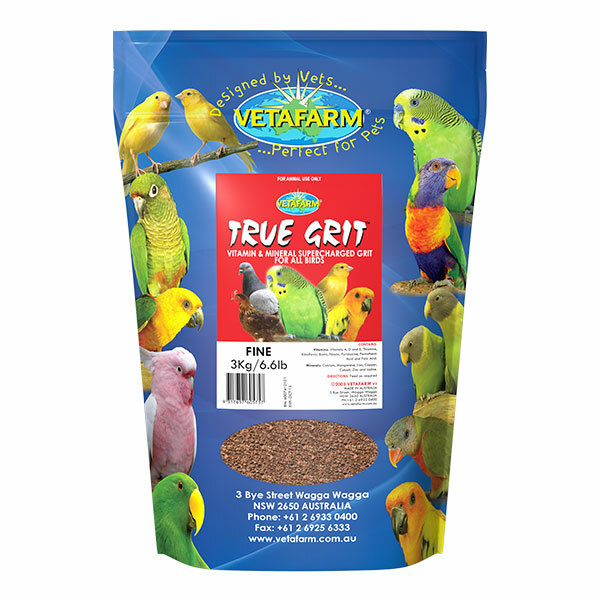 Use in all animals in times of stress, illness, injury, post antibiotic treatment or as a daily supplement to support the immune and digestive systems. 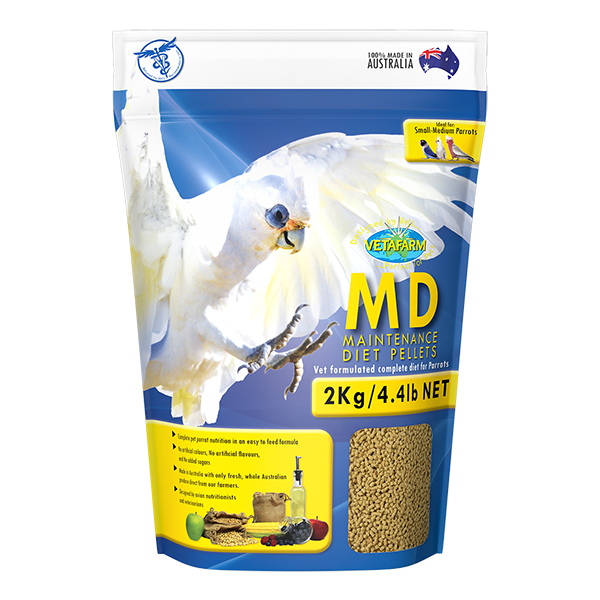 Any food or in water source, including soft foods, vegetables, soaks and hand rearing formulas. 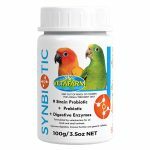 Synbiotic should not be used in conjunction with antibiotics but may be used immediately following a course of antibiotics to recolonise the gut with beneficial bacteria. Water: Add 1g (1 enclosed heaped scoop) of Synbiotic to 1L of clean drinking water. 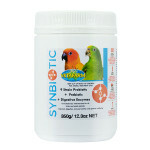 Food: Add 3g (3 enclosed heaped scoops) of Synbiotic to 1kg of dry food, soft food, vegetables, hand rearing formula etc. Water: Add 2g (2 enclosed heaped scoops) of Synbiotic to 1L of clean drinking water. 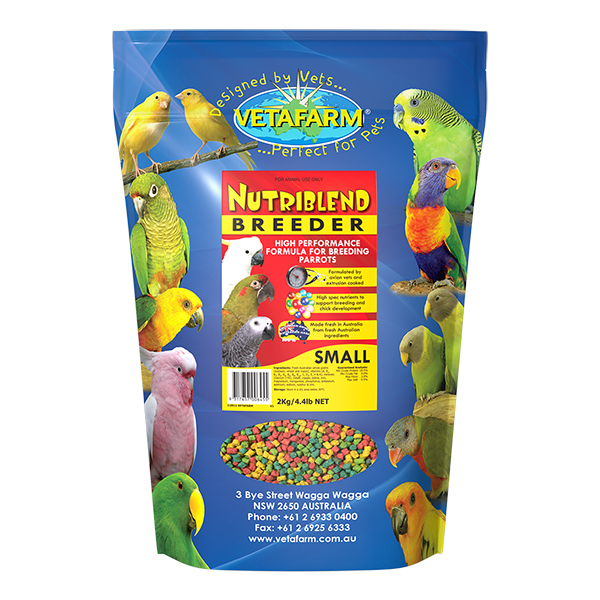 Food: Add 6g (6 enclosed heaped scoops) of Synbiotic to 1kg of dry food, soft food, hand rearing formula etc. 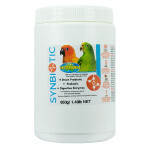 Note: Animals recovering from illness, stress or injury should receive the stress dose for 10 days. 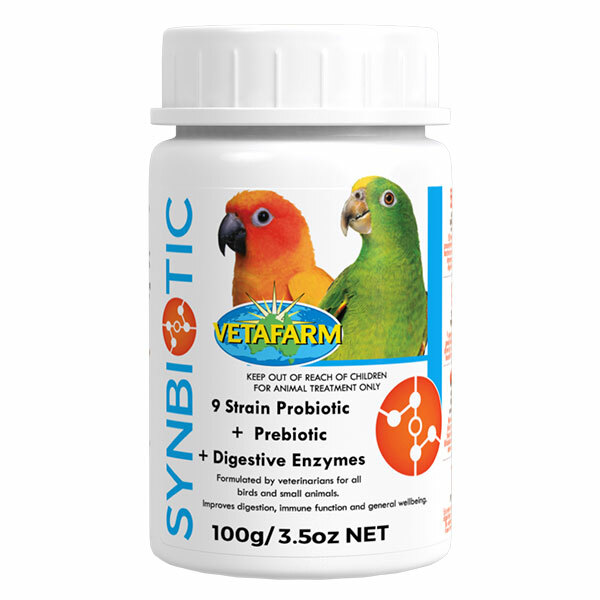 Synbiotic is designed for ongoing daily use, but may also be used for short periods of 5-7 days at a time. L.plantarum, L.rhamnosus, L.brevis, Bifidobacterium bifidum, B.lactis, S. thermophilus. Store below 25 C (air conditioning). Keep container tightly closed.